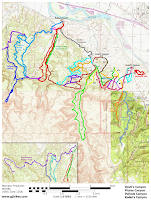 The P2 trail is located in the Flume/Pollock Canyons Area of the McInnis Canyons National Conservation Area near Grand Junction and Fruita, Colorado. P2 is a short connector trail that stretches between the lower end of the P1 trail and the lower end of F1 trail. A common use for the trail is to create a short 1 mile loop near the trailhead to accommodate anyone not able to conquer one of the longer loop hikes like Pollock Bench or the F1 trail. For this post we began at the F1 end of the trail and hiked up to the P1 where we turned around and returned to where we had started. 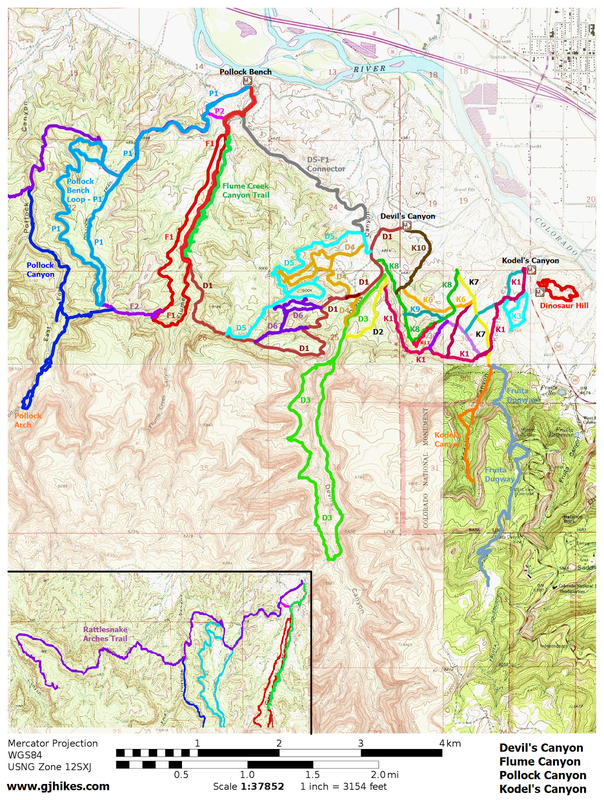 The trail gains about 80 feet of elevation between the lower end at the F1 trail and the P1 trail. There are some nice views of the Flume Canyon area from the trail. In the past we have seen families with small children playing among the boulders. 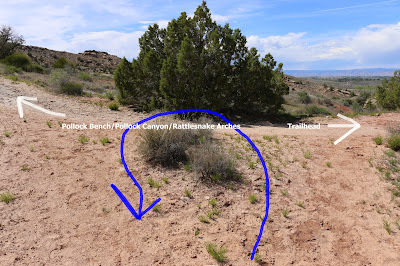 The point where the P2 and the P1 trails meet is about a half mile from the trailhead. The point where the P2 trail left the F1 trail was also a half mile from the trailhead. That would make the loop come out to about 1.2 miles round trip. That is a good distance for taking the dog for a quick walk or getting the kids out of the house. There is also just enough elevation gain for everyone to feel they got a little bit of exercise. If you would like to see it for yourself then all you have to do is 'Take a hike'.